Mobile medical alert systems are an emergency and personal system that offers you the freedom to enjoy your active lifestyle with one-touch access to help in the event of an emergency. 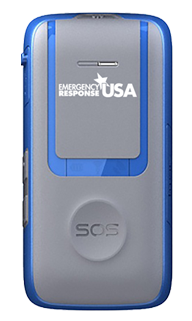 Emergency Response USA brings help to you quickly and accurately with Auto-Location. Home or away, we offer you full two-way voice communication at the touch of a button to get you the help you need. Its built-in GPS location system lets Emergency Response know where you are so that help can be sent to the right location. The “Safety Monitoring System” takes independent living to the next level. With easy-to-access online tools, it's simple to locate the Emergency Response. It's a secure feeling to know you can locate your loved one with accuracy. We provide you with protection 24 hours a day, 7 days a week in both official languages. All of our emergency system operators are trained and experienced in working with seniors and the disabled. We also have local service from coast-to-coast through our corporate offices and dealer network. Speakerphone. If the phone rings, press your personal help button to answer the phone and speak through the Emergency Response System or Mobile Communicator Unit. Waterproof. MobileEmergency alert devices can be worn in the bath or shower, where most falls are likely to occur. Five-year battery life. The emergency call button has a battery life of approximately five years. The Mobile Emergency Response System Communicator unit is plugged into the A/C outlet for power. However, in the event of a power outage, it has a 24-hour backup battery. Wearability. The emergency alert devices are lightweight and discrete. The recessed button reduces the likelihood of accidental activation. Supervised for low-battery signals. Our emergency monitoring center will receive a signal if either the personal help buttons or the two-way voice communicator unit are low on battery life. Portable. 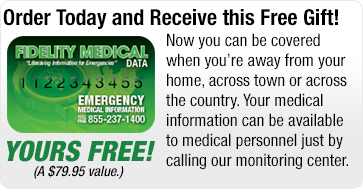 The medical emergency alert and communicator unit can be transferred to your cottage or an alternate address in USA. 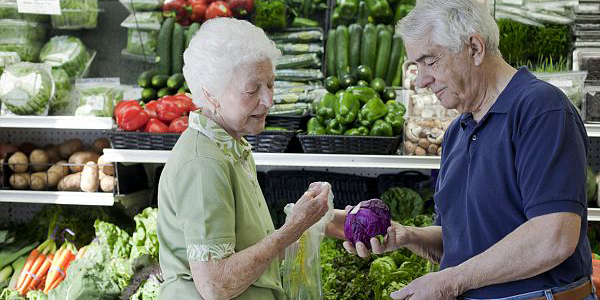 Mobile Senior Monitoring Device Plans Starting at Just $39.95/month.